Linkwood Distillery is located just on the southeast end of Elgin, in Speyside. The distillery was founded in 1821, when Whisky production was kind of illegal. However, production did not commence until 1825. Founder Peter Brown died in 1869, and his son William Brown became the distillery manager. He ran the distillery for the next 35 years. After years of hard work, dutifully bringing several modernizations to the distillery, William died in 1893. After his death, the Brown family founded the Linkwood-Glenlivet Distillery Co. Ltd, and the capacity of the distillery was doubled. Robert Innes Cameron joined the company, becoming the main shareholder and manager for 30 years, and bringing great success to the distillery. In 1933, they were purchased by Scottish Malt Distillers. They ceased production to supply barley for World War II. In 1945, the distillery was opened again under the management of Roderick MacKenzie, a position he would hold for 18 years. In 1962, MacKenzie witnessed the rebuilding of Linkwood. He tried to preserve main characteristics of the distillery. In 1971, another distillery called Linkwood B, was built right next to the existing one, in order to satisfy growing demand. Linkwood sources its water from Milbules Spring. Production capacity is around 3.5m liters. They own a big 12 ton mash tun, and 11 washbacks. They have 6 pot stills, 3 of which are wash stills, with a capacity of 15,000 liters. 3 are spirit stills having a capacity of 17,000 liters. Diageo's industrial maltings are used in the production, and variety of American Oak and Spanish Sherry casks are used for maturation. Linkwood's single malts have been used in Diageo blends like Johnnie Walker and White Horse. In 2008, Diageo released 3 official Linkwood bottlings, with rum, port, and 'sweet red wine' finishes. Each bottle was aged an impressive 26 years, doubling the initial maturation time. What does Linkwood taste like? The Flavour Spiral™ shows the most common flavours that you'll taste in Linkwood Scotch. It's based on all Linkwood drinks in our large database and gives you a chance to taste Linkwood before actually tasting it. Linkwood Distillery was named after the Burn of Linkwood, which is very near to the distillery and a source of cooling water. Linkwood is different from many distilleries, because it has two different still houses. Linkwood is one of the four major single malt distilleries of the giant Diageo. The other three are: Glen Elgin, Glen Lossie, and Mannochmore. 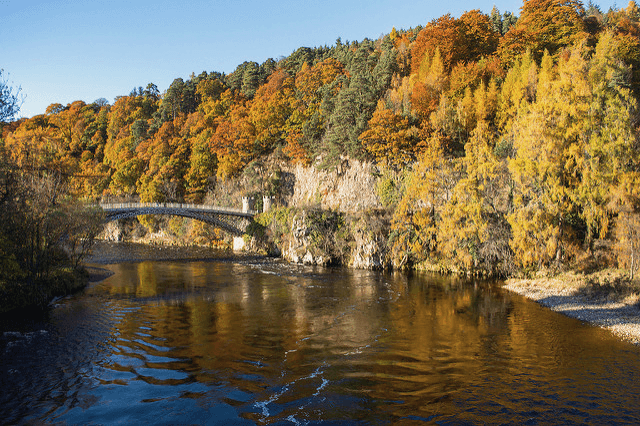 During the annual 'Spirit of Speyside Festival', a special tour is offered called 'The Laich of Moray'. This tour covers all four of Diageo's single malt distilleries, including Linkwood.